A premium quality copper anti-seize and thread lubricant that may be used to prevent seizing, corrosion and galling where high temperature conditions exist. 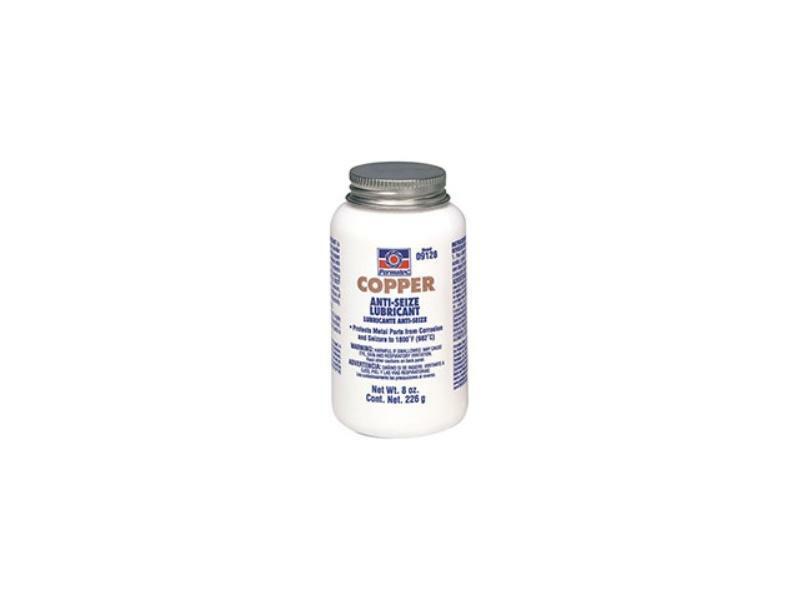 Contains a high percentage of micro-fine copper flakes in a semi-synthetic grease carrier and is fortified with high quality rust and corrosion inhibitors. Temperature range: -30°F to 1800°F (-34°C to 982°C). Provides good electrical conductivity. Meets Mil Spec #907E.